Think about all of the events you have in your calendar every year, and the type of dress codes associated with them. A truly formal look is often few and far between; maybe you have the odd black tie event, or you may even need coattails as a groom or one of the groomsmen at a wedding. There will be plenty of times you can choose casual outfits, but what about those occasions that sit firmly in between? 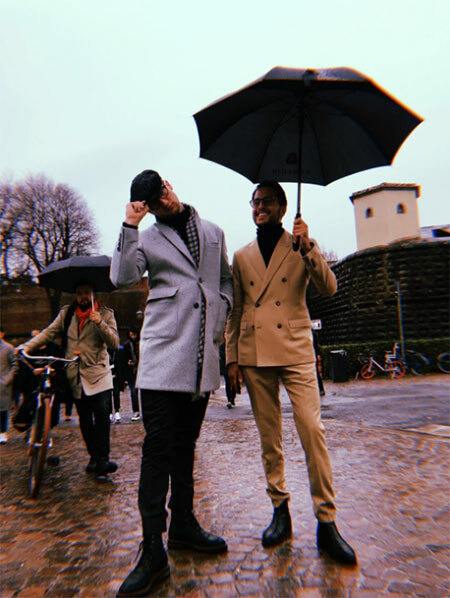 We’re here to help you on your way when it comes to semi formal attire, so you know when it’s appropriate to wear it, and what pieces you should choose to add to your wardrobe. That way you can still look smart and presentable, without going over the top. 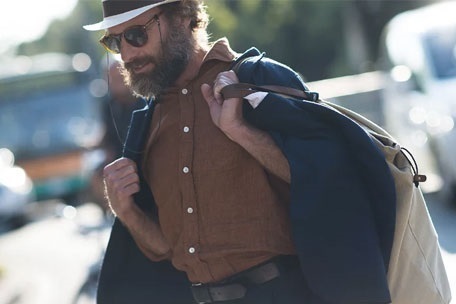 Read more men style guides and shop menswear from all the best stores in one place on Nuji. What’s the Difference Between Semi Formal and Formal? The first question we need to answer is: what’s the difference between semi formal and formal attire? The clue is in the name with the word “semi” but it’s actually harder to define than it seems. This is because each individual will have their own measure of what could be considered formal, so we’ve put together some general tips that you can weigh up to find your perfect outfit. Let’s look at formal outfits first. If an invite specified a formal dress code, you’d likely be looking at a white or black tie outfit. A black tie dress code may be for the type of event that would warrant you going out to purchase something extra special, from your leather shoes all the way up to your waistcoat and dinner jacket. Black tie is slightly less formal than white tie, but it’s still more formal than semi formal; we hope you’re keeping up! So if we understand what’s expected of formal attire such as a sharp suit, tie and carefully selected accessories, it helps us to better understand semi formal. It’s essentially an opportunity to be more relaxed about the type of suit you choose, as well as your tie and accessories. For example, you could choose a dark coloured suit and wear a coloured tie. It’s important to note that the word “formal” still exists within “semi formal” so remember that you’re still looking for a smart outfit that shouldn’t appear casual; that means no jeans or trainers. If it helps to put it in context, semi formal is sometimes referred to as “cocktail attire”; as a woman you’d choose to wear a cocktail dress to this type of event, instead of something like a ball gown. Now you know a little bit more about what it means to dress in a semi formal outfit, let’s take a minute to think about some of the events in your calendar that may have this dress code. Since we’ve already mentioned cocktail attire, let’s start there. The most obvious association here is the cocktail party, an event lasting a couple of hours in the evening that is designed to be a mixer of friends or business associates. It’s regarded differently from an average night out, and although there is no sit down meal, guests are still expected to make an effort when it comes to their outfits. As some of these occasions take place straight after working hours, you can make a simple switch of your suit jacket, and add a tie to take you from day to night. Another common event which calls for semi formal dress is a wedding and the reception that follows. Wedding breakfasts are not the place for casual attire, nor are the nuptials themselves. You may get away with taking off your tie and jacket later in the evening depending on the event and where it is held, but you should follow the lead of the wedding party so you aren’t causing any disrespect to the wedded couple. Imagine being the person who looks out of place in the official wedding photo album! You may think of them as less formal than a wedding or a cocktail party, but birthday or anniversary celebrations could also be ideal occasions for wearing semi formal attire. This is true especially when it comes to special birthdays or milestone anniversaries, such as a 30th rooftop bash, or a sit down meal for a silver celebration of 25 years together. It’s always nice to make an effort rather than rocking up in a pair of jeans, so do yourself a favour and stick to the golden rules of semi formal dress. Trust us when we say that it’s possible to do semi formal in a right and a wrong way. 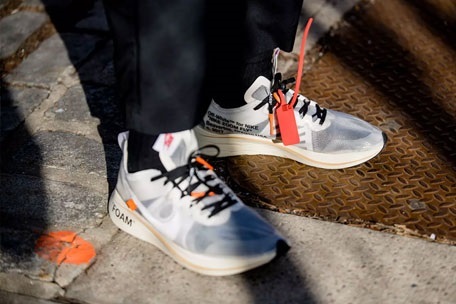 We already mentioned that each person will have their own interpretation of what constitutes formal and casual, but some aspects should really come as standard so you aren’t looking too over or underdressed for your event or party. First up let’s cover the things you should do when it comes to wearing a semi formal outfit. Try and keep these rules in mind so you do your outfit justice; we’re sure other people will notice what you’re wearing, so it’s time to welcome a rush of compliments. Do choose your suit based on the time of day. If it’s a daytime event, you’re better off sticking to a lighter coloured suit, but evening events naturally work better with darker colours. Do choose the more formal option if you’re deciding between two options. We think that it’s easier to make a formal suit look a little bit more casual, than making a casual look smarter than it is. An easy way to dress down a formal suit is to remove your tie, or even just choose a different shirt to wear underneath the suit jacket. Do consider the tie you wear. Some outfits may look better with a tie, but when you’re going semi formal you probably won’t need to go as far as a bow tie (however nice they are); instead you could choose a different colour tie other than black or white, just avoid loud patterns and designs. Now let’s talk about all the things you’ll want to avoid in your semi formal attire. If you ignore these suggestions, you’ll probably end up committing a fashion faux pas, so we recommend that you pay attention to get it right. Don’t wear a tuxedo. It’s a simple rule to remember, so let this be one of the main golden rules that you take away from this article. A tuxedo immediately shouts “very formal”, so you would be massively overdressed if you chose to wear one at a semi formal event. Keep the tux for those black tie events in your diary. 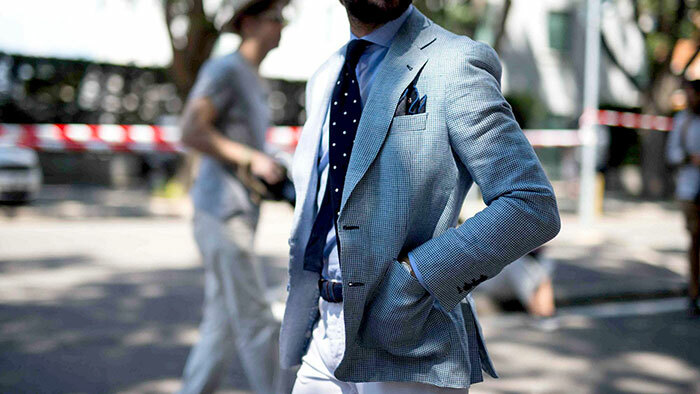 Don’t be afraid to ditch the tie completely. Above we said you can be a bit more relaxed about the colour of the tie you wear, as long as you avoid garish colours and patterns, but you could be brave and just not wear one at all. You can get away with this as long as the rest of your outfit is sharp and polished, such as a well-tailored suit trousers and jacket. Don’t go underdressed. It’s possible to go over the top, such as by wearing a tuxedo to a semi formal event, but you could go wrong the other way too. Jeans, shorts, and trainers are massive no-nos when it comes to semi formal. They can sometimes pass as smart casual, but they just won’t cut it when it comes to events such as weddings and cocktail parties. Golden rules out of the way, it’s time to move on to the all-important semi formal shopping list. These are the items you’re going to want to have in your wardrobe for all the occasions that you’ll need to use them in the future. Keep your outfits fresh by introducing a new item here and there, but some pieces can work as staple items for multiple dates in your diary. We’re going to make the assumption that most of the semi formal outfits you’ll wear will be based on a suit, so we suggest that you invest in at least one plain, light coloured shirt that compliments the colour of your suit. 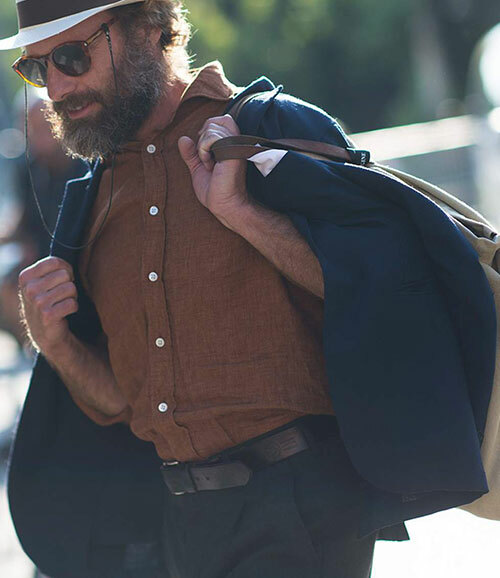 Having a couple of different shirts on hand will mean that you can repurpose your suit for different occasions. 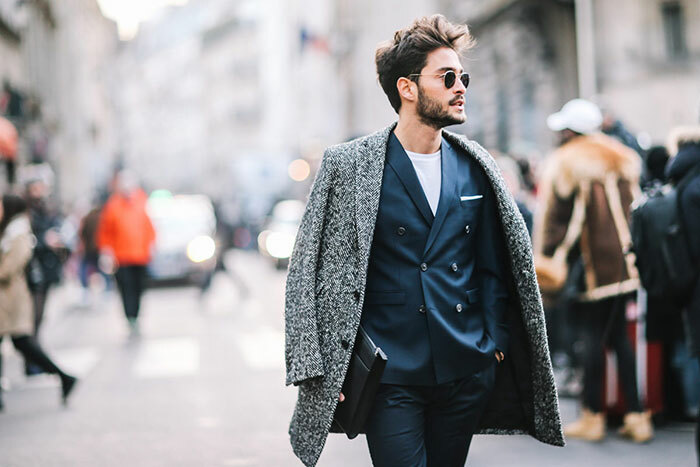 If you’re able to pull it off, you may decide to wear a different jacket with your suit trousers, so a darker shirt may work for this purpose. It’s probably best to get some feedback from your friends and family to make sure that your outfit is fulfilling the “formal” aspect of semi formal if you’re going to do this though. There’s nothing quite like finding that perfect suit that fits like a glove, so get out there and try some suits on for size. Get a suit that works well for evening events by choosing a suit in a dark colour, and find a lighter one for all of those day events. A two piece suit will be just fine for semi formal; you don’t need to dip in the realms of waistcoats, although you could wear a coloured pocket square if it’s your kind of thing. One of the most dependable accessories you could choose to wear with your semi formal outfit is a watch. Not only do they make a brilliant statement, but they’re also functional; after all, you don’t want to be late to your event. Other accessories to consider are pocket squares which we mentioned above, as well as ties if you want to wear one. Belts should match the colour of your suit, rather than standing out in a different shade. Finally, a quick note on socks: keep them plain and in a dark colour as it’s not the time to be wearing your bright and patterned pairs. Let your shoes fall in line with the rest of your outfit, rather than being a bold statement piece. When wearing a suit, it’s a good idea to wear shoes that are a similar shade to avoid crossing over into a casual look. 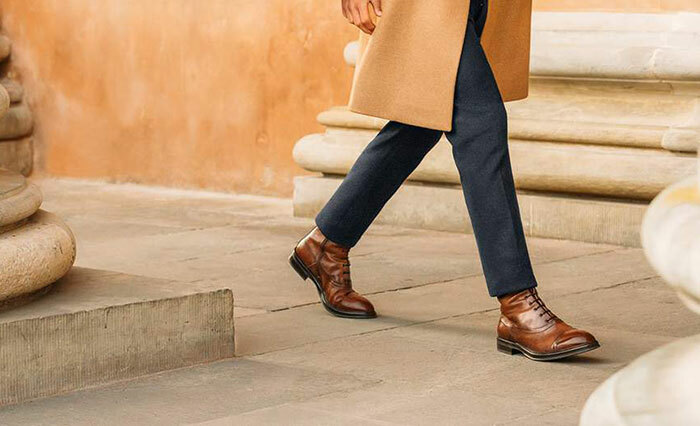 There are plenty of dress shoes out there for you to choose from; look at boots, loafers, brogues and Oxford dress shoes for a range of options. A suit jacket will always be the safest option for semi formal attire, and will be the easiest to pair with your trousers too. That doesn’t mean it’s the only option available to you though; you could also choose a smarter blazer, or even a jacket like a trench coat if the event will be taking place outdoors. 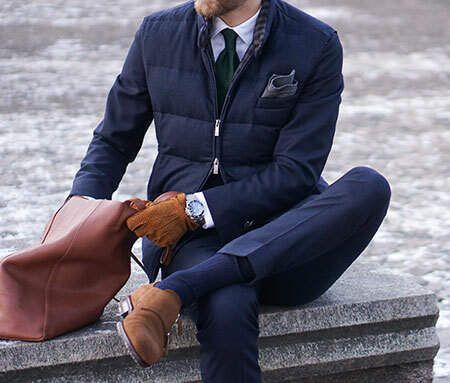 If you’re undecided between which jacket to choose, go with the suit as the standard option. A suit is a simple option, with or without a tie. Pair it with matching shoes and a belt, and accessorize with dark coloured socks and a statement watch. Never wear a tuxedo for semi formal attire as it’ll look too formal. Shorts, trainers and jeans are definite no-go areas too as they’ll be far too casual. Pick your outfit based on the time of day; light colours in the day, and dark colours for evening events. Now you know how to rock the semi formal look like a boss, you’ll be strutting your stuff all over town at your upcoming events. Now you can pass on what you’ve learned to your mates and colleagues so they have the confidence to know what to wear at semi formal events too. Now you’ll never need to turn down an invite to a wedding or a cocktail party as you’ll always have something on hand to wear. Browse our editor's daily edits to stay inspired and discover great stories about style and design. 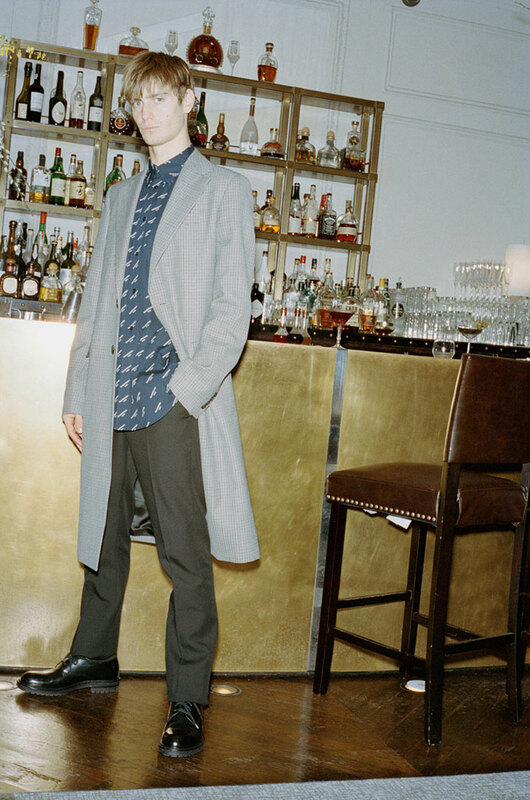 Shop the latest menswear from well-known or emerging designers. 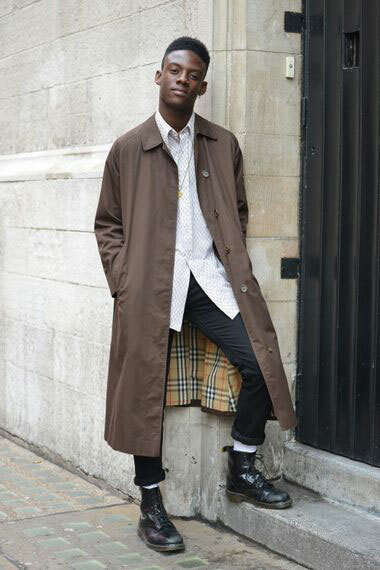 Keep up with the trends or follow your own unique style. Get the best deals from 100s of stores in one place. 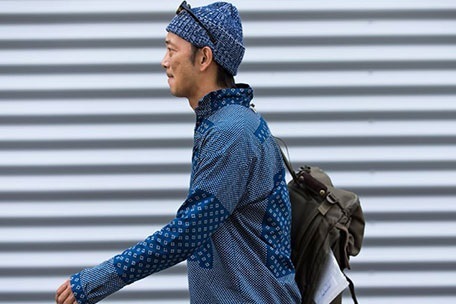 Shop up to 80% off on designer menswear.